This post about eggplant recipes was sponsored by Pompeian Olive Oil and Smiley 360 but all the opinions are 100% my own. Growing up in an Italian household, most things were cooked in olive oil. That is just how things were. I have continued to cook this way and if you came to my house on any given day you will see a bottle of olive oil and balsamic vinegar on my counter next to my stove, usually Pompeian Brand too. You have heard me complain about my garden this season and it seems that the only veggies around right now is Eggplant. 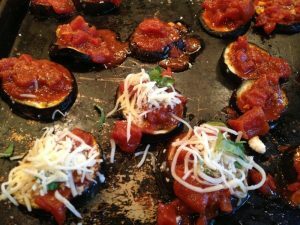 While I love eggplant I never dreamed of having so much and trying to come up with eggplant recipes the family would enjoy. 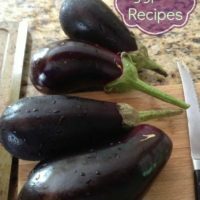 I am going to share a few eggplant recipes with you that I am sure your family will not even know they are made of eggplant. They were enhanced with the use of Pompeian Olive oil. 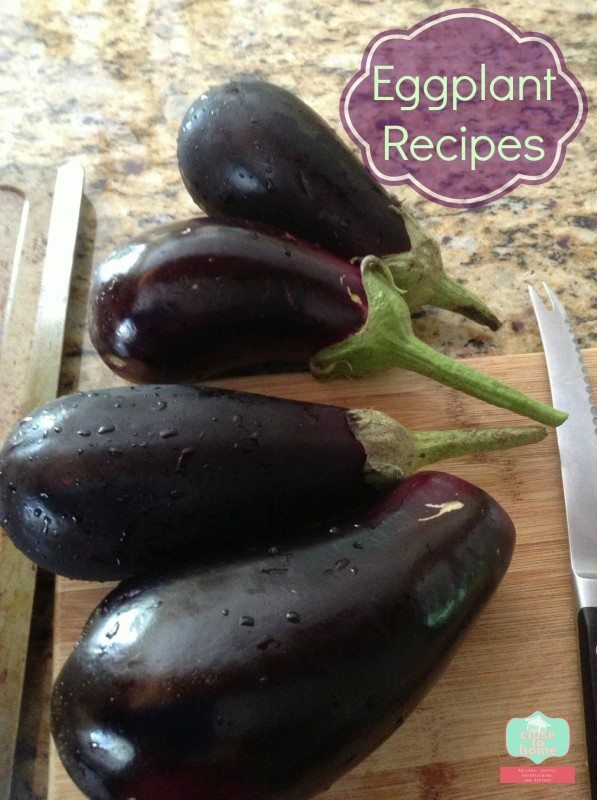 The first recipe I was very surprised by, Eggplant Recipes adapted from Julia Child herself!! 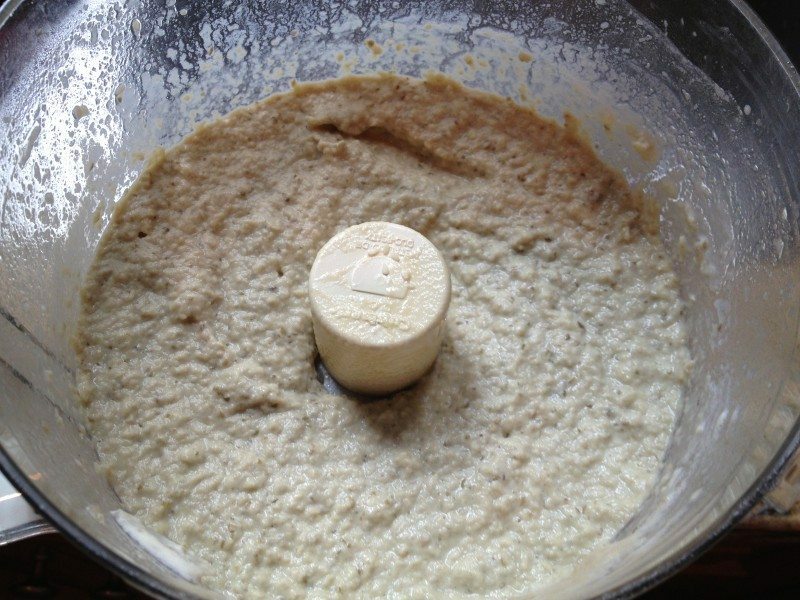 I am not a big follower of her recipes but this is a keeper and the kids might not even know what you are serving them. Low on carbs too for you gluten-free junkies out there!! After you have salted your eggplant slices and allowed them to sit for 30 minutes, you roast them. Apply a little bit of olive oil on them and be sure your pan is well-greased as well. The secret is in the sauce right!! 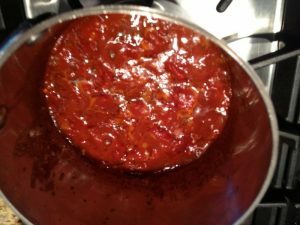 I happened to have some Chili Ready tomatoes in the cupboard so this sauce had a little kick but it was perfect. Now it is time to assemble each pizza. You could always add pepperoni on the kids pizzas to make them more appealing but I loved them just the way they are. 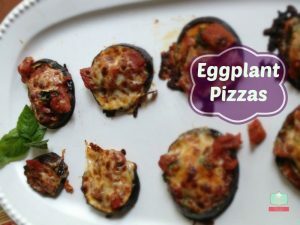 These eggplant pizzas made a great side dish but would also be an amazing and easy appetizer at a party. Just be sure and serve with napkins and a plate. 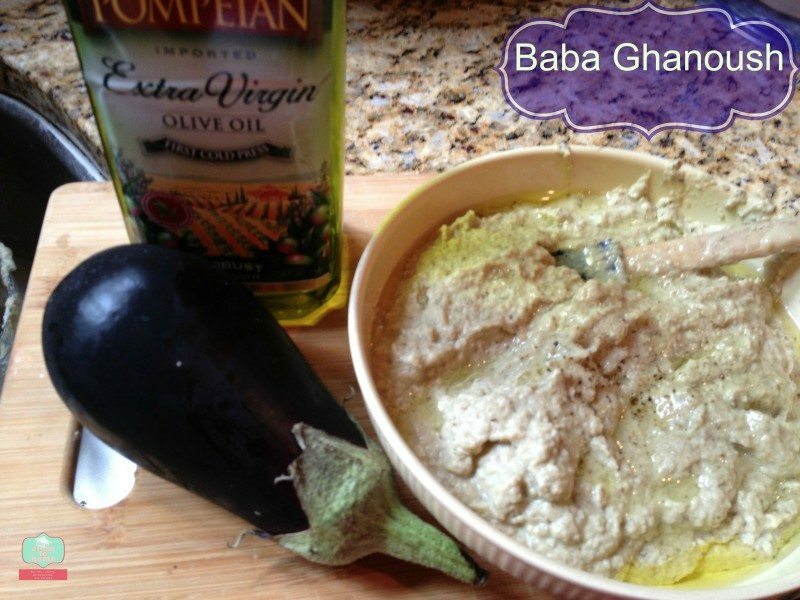 The second Eggplant recipe I am going to share with you is Baba Ghanoush recipe. Basically it is roasted eggplant dip. It reminds me a little of humus but definitely has a different taste. 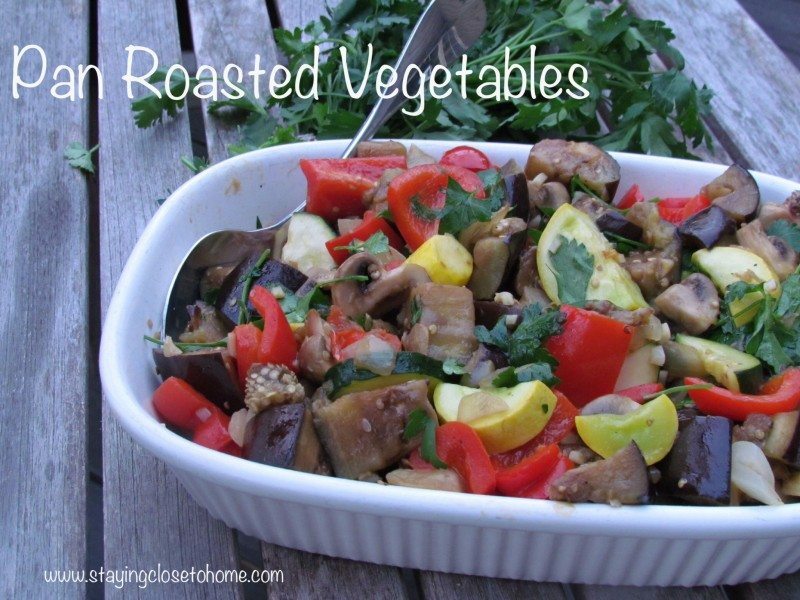 It is super easy as you just roast your eggplant and blend. When you roast your eggplant be sure and puncture a few holes in the body of the veggie or you will have an explosion in your oven. Almost there just need to add a drizzle of Pompeian Olive Oil. Yummy! 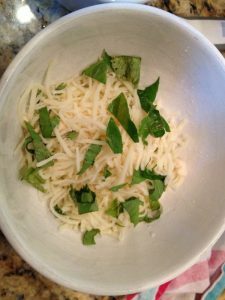 Pompeian Olive oil is great cooking food or as a garnish such as this recipe. 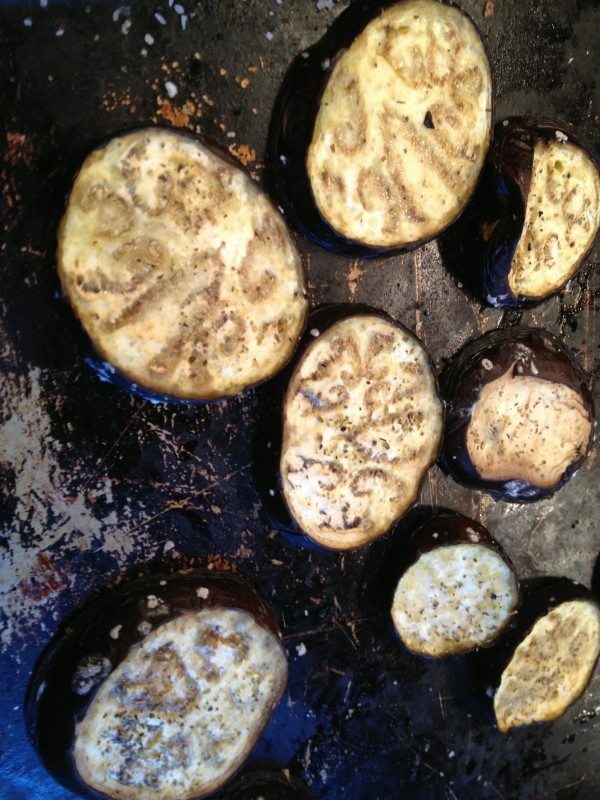 How about some roasted Eggplant recipes? Might you like those instead? What is your favorite way to eat Eggplant? I think I will have to put the eggplant pizzas on my next dinner party menu. I was looking for a good italian recipe for an upcoming dinner party. They look delicious. Hi Maria, your eggplant recipe looks so good! I think we both have eggplant on the brain. I love eggplant! Have a great day. 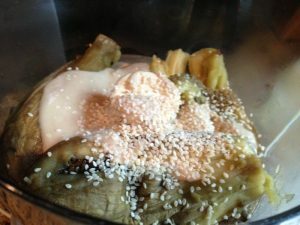 I never even tasted eggplant until I was about thirty – boy did I miss out! I love it now, and am always looking for new ways to serve it. Your pizzas look so cute – what a great little appetizer or snack with lots of flavour.